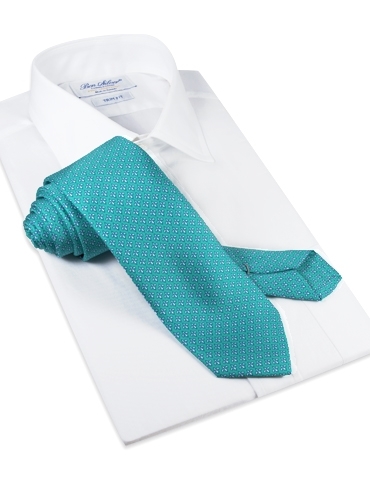 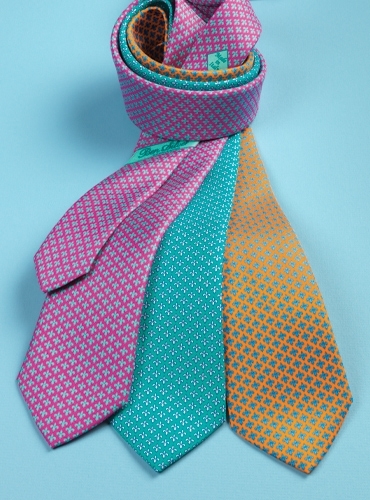 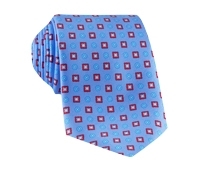 Our Italian printed pure silk fleur-de-lis neckties are always an elegant complement to a suit. 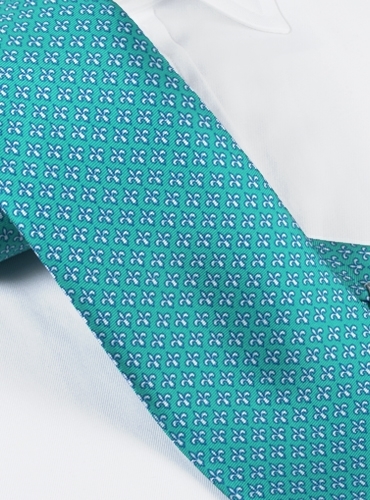 Shown here in B-turquoise. Also available in: A-magenta; C-marigold.